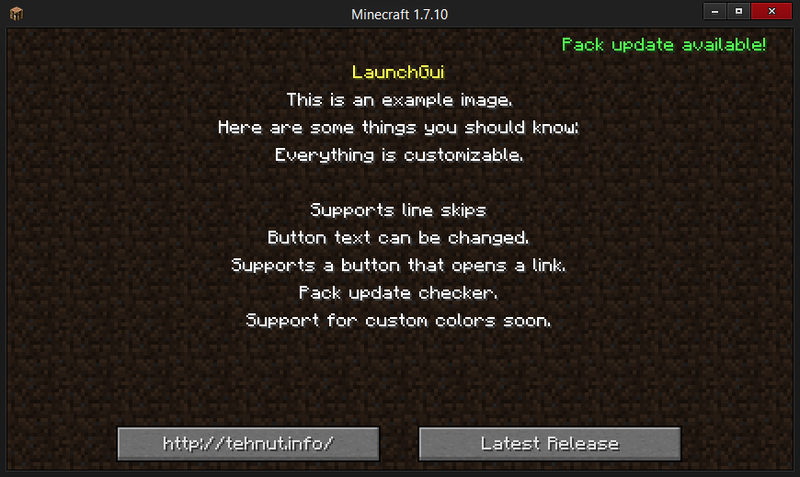 A utility for modpack creators that creates a GUI when the player initially launches the pack. The GUI is fully customizable with up to 8 lines of text, a custom title, custom button text, and a manually set modid to look for. Hello, TehNut. I am using your LaunchGUI in my modpack but when i type %player% in the config it just types %player% in the LaunchGUI itself. Do you know why and how to fix it? Thanks! need code to customize? how i use this?